The New Year brings hope, fear, the drive to make positive changes to better yourself, and, if you are in the Southern California area, massive hype to finish your cosplays for Anime Los Angeles at the end of January every year. If you’re not from California, the idea of a warm convention smack dab in the middle of winter is a dream come true. If you’re local to most places in the southern part of the country, it’s also a dream come true because there’s a very short window to wear a heavy, warm costume most of the time in Los Angeles without the threat of heat stroke. 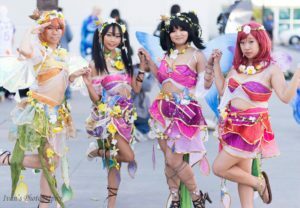 Anime Los Angeles is, in short, the people’s convention and prides itself on being created, promoted, supported, planned and enjoyed by true blue anime and convention fans from beginning to finish. 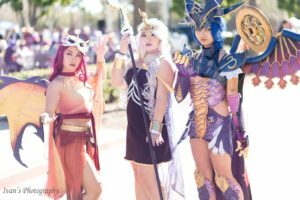 The main draw of this convention is a fan run environment that not only caters to people who truly enjoy conventions, but most of the attractions are supportive of different local designers, artists, cosplayers, photographers and voice actors to grow and prosper within their own community. 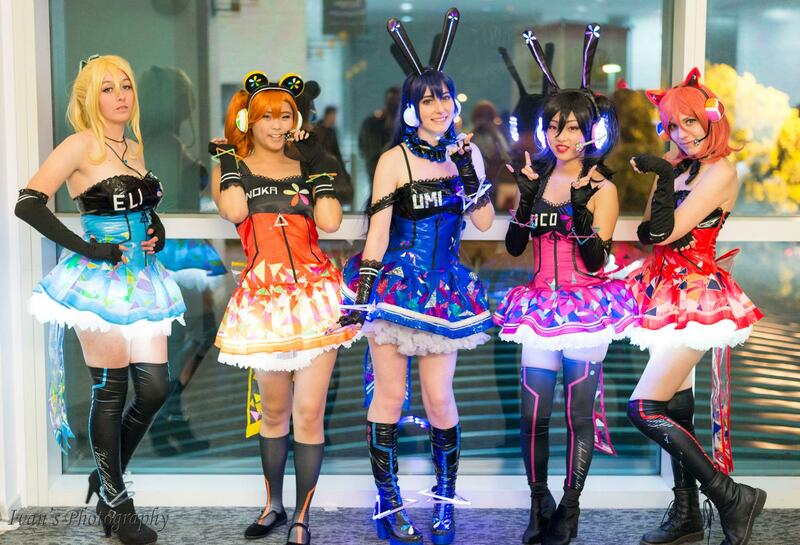 Anime Los Angeles could predominantly be described as a cosplay heavy convention. The outside areas of the convention are usually as busy and packed as it is on the inside. 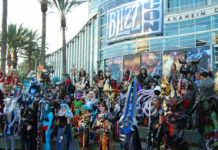 Months before the convention, cosplayers set up meeting areas so they can arrange a time during the day that people who are a fan of a specific series can all hang out together in costumes from the show. They usually take photos, dance or just hang out and talk. Inside the convention is an amazing display of various artists in all of their glory. There are major Fashion exhibits from various independent designers who are all the rage within the community. Con-goers are even able to purchase their favorites from a Fashion Boutique at the convention. The Fashion Show is definitely one of the highlights of the convention and will leave you feeling star struck after watching each model go down the runway. 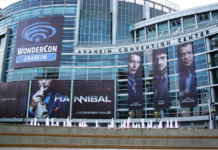 You’re going to want to save your money for this con! Not because of any outside expenses, (the hotel, parking, and food in the surrounding area is actually pretty reasonably priced) but because there is so much good stuff to buy. Not only is there an enormous Dealer’s Hall, but there’s an Art Alley where you can buy merchandise like prints, jewelry, pins and keychains from all of your favorite independent artists. My favorite thing to check out is the Swap Meet because you can find items you never expected to fall in love with (read: spend all your money on) from a box that was in another con goers basement. The best purchases I’ve ever made were from the ALA swap meets. One of the major reasons that ALA has an overwhelming popularity is because of the 24/7 weekend-long community aspect of it. Hotel rooms are booked up months in advance and most people staying in them live within 45 minutes of the convention center. The ALA atmosphere allows for people to create their own nerd Coachella within the city of Ontario. For a full 72 hours, people of all ages can have fun and be themselves while celebrating an unspoken bond between hundreds of almost strangers. 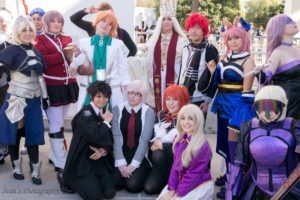 Did you attend and enjoy ALA? Let Nerdbot know in the comments! Previous articleTom Holland To Make A Cameo In The Venom Movie? Shelby Mcweeb is the world's most acclaimed (only) nationwide Anime Convention Culture Journalist. 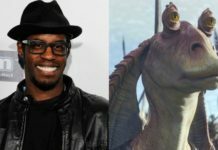 Shelby has been working in the Film, Television and Journalism industry for over a decade. Shelby has traveled across the country, both as an award winning cosplayer and as a historian to document every aspect of Nerd and Anime culture possible. She is a Co-Host of Anime Weekly, which airs every Wednesday at 9pm. Rumor has it that if you stand directly in the center of any anime convention and whisper mean things about my favorite anime characters, I will materialize instantly to defend their honor. Was Zack Snyder Released From DC Films? What If Black Widow Was The First R-Rated Film In The MCU?